This map contains territory of Belarus. actual map of Vasilevichi и OziExplorer calibration this. map of Zolotukha и OziExplorer calibration presented. detailed map of Zashcheb'ye presented. 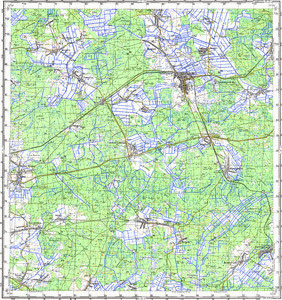 topographic map of Zamost'ye 1 cm to 1 km this. detailed map of Yakhnovka this. free map of Vyaliki Bor this. free map of Uzhinets for you. map of Starch for Garmin. interesting map of Solovey presented. map of Prudok и OziExplorer calibration this. detailed map of Poselok Nakhov for gps. free map of Novinki download for free. map of Nasavichi 1 cm to 1 km for gps. map of Nakhov for gps. interesting map of Mutizhar 1 cm to 1 km displayed. detailed map of Mokanovichi 1 cm to 1 km this. map of Malayye Avtyuki и OziExplorer calibration this.